I received the new 2012 Spring/Summer Idea Book last week and I've only looked through it...oh, I don't know...a couple a hundred times or so? LOL I can't wait to share the new papers, new 3D items, new embellishments, and new stamps with you. However, the new idea book doesn't go live until February 1st...so you'll have to wait until then to see the fabulous new products...but the wait will be worth it. I'll be giving away the new idea books to all my guests at my semi-annual open house on Sunday, February 5th. If you would like to attend, simply R.S.V.P. here. If you can't attend, but still want an idea book, I'd be happy to get one to you. I don't charge for the Idea Books, so if you're local just give me a call and you can either pick it up or I can drop it off for you. If you aren't local and would like one shipped to you, I can ship it to you for $5 and I will include a coupon for $5 off your first order of $25 or more. Note: I will not mail Idea Books out before January 27th. And again, new items from this book cannot be ordered until February 1. 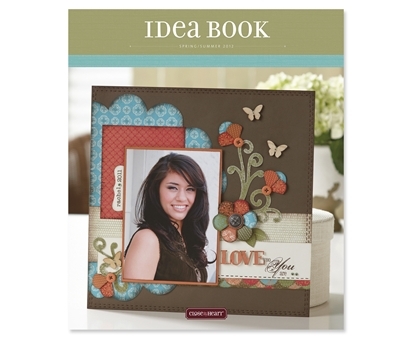 I hope you are as excited as I am about the new Close To My Heart Idea Book. All of these products will be available on my website beginning February 1st. Great post! I love how your took the time to link all of the products back to your website for easy viewing/ordering. What a great way to drum up business BEFORE the new Idea Book arrives. Would you mind if I used your idea and your slideshow on my blog too? You are AWESOME!!!! Thank you so much for offering us the ability to use your slideshow. I greatly appreciate all the work that went into it and your offer to share it.